I love Rome’s geographic position: right in the center of the Italian Peninsula. Drive 170 miles south and you arrive on the Amalfi Coast. 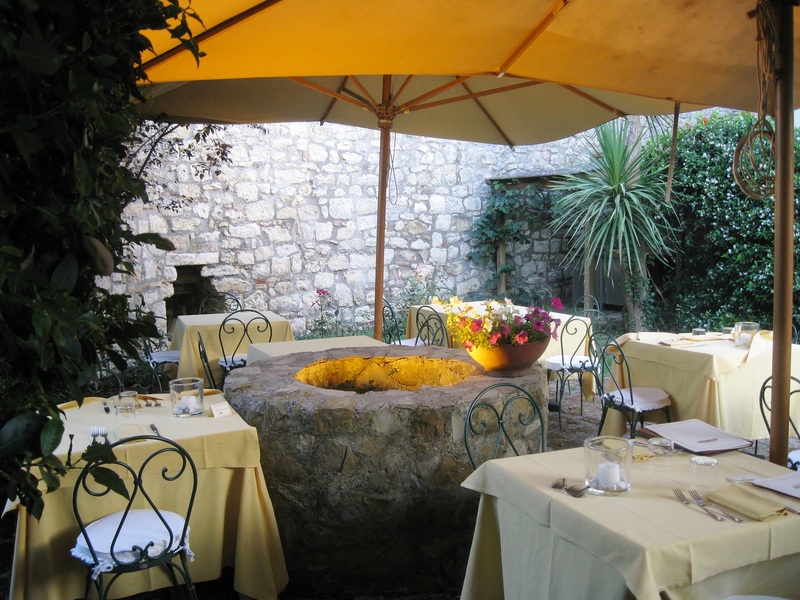 Drive 100 miles north and you are in Maremma, a wonderful area in the southernmost part of Tuscany. 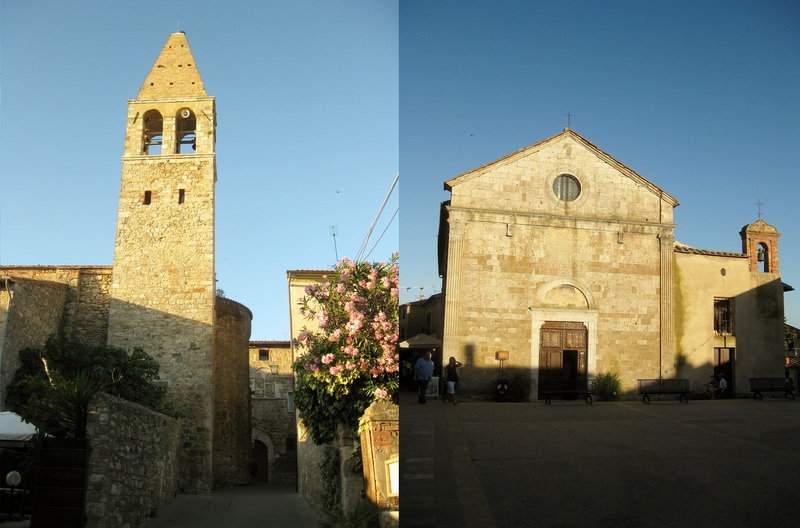 Maremma, located within the Province of Grosseto, hosts mostly domestic tourism, specially if compared to other areas of Tuscany such as Chianti. 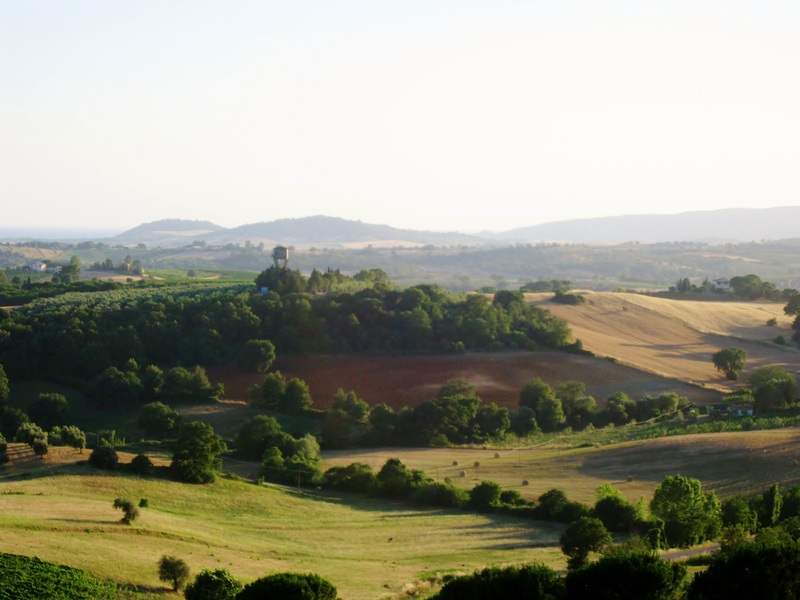 One of the features I appreciate most of Maremma is the fact that you have breathtaking Tuscan countryside 3 – 4 miles away from the beautiful seaside. Driving along the Maremma seacoast, you come across the marvelous Cape Argentario, where you can discover the coastal towns of Porto Ercole and Porto Santo Stefano. Continue the journey towards the inland of Maremma to admire the Tuscan historical towns of Capalbio, Manciano and Magliano in Toscana – a colourful small town with a prosperous gastronomic culture – where we decided to stop for dinner after coming back from a weekend with friends in Porto Ercole. Some wine and bakery shops. 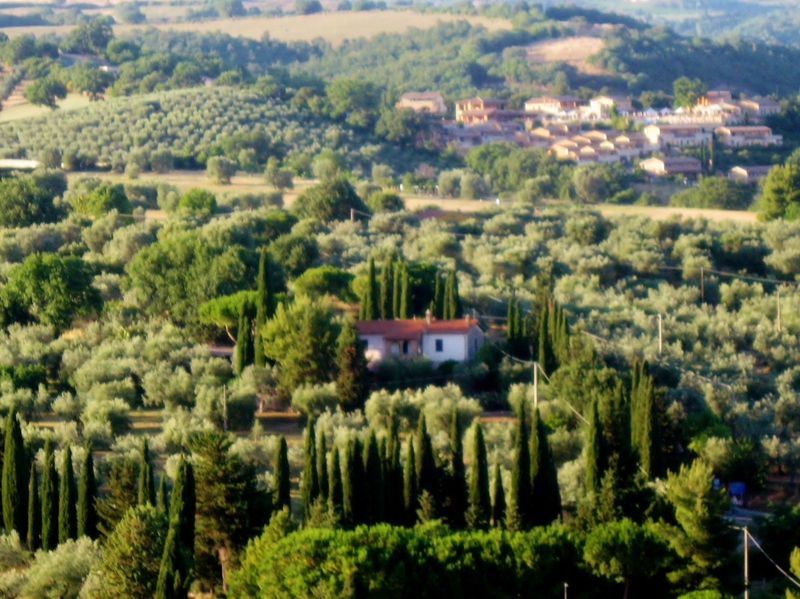 Two beautiful Tuscan landscape views from Magliano in Toscana. 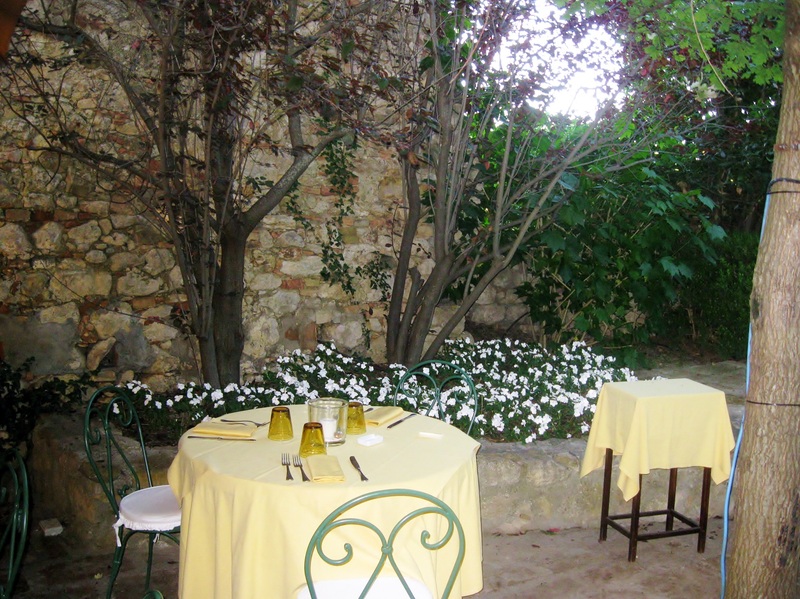 A typical Tuscan trattoria with an interior garden named “Antica Trattoria Aurora”. 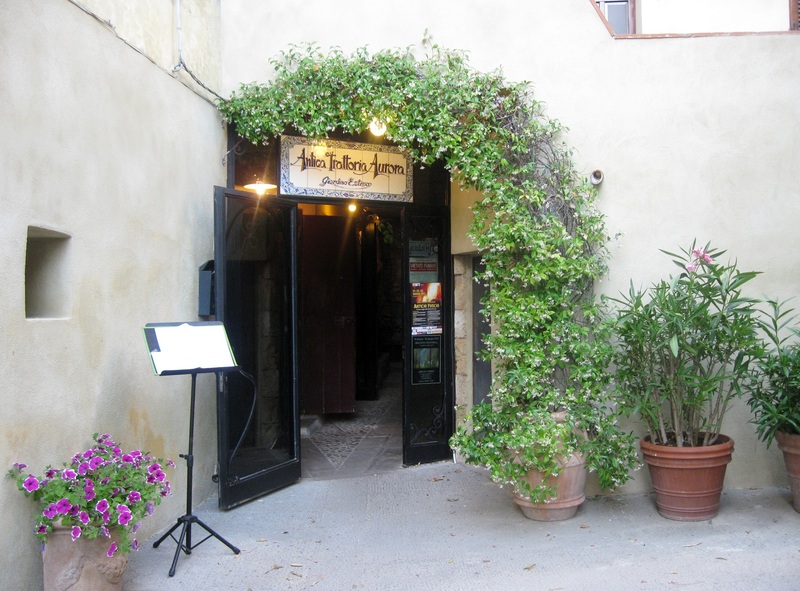 The entrance of the charming Antica Trattoria Aurora. 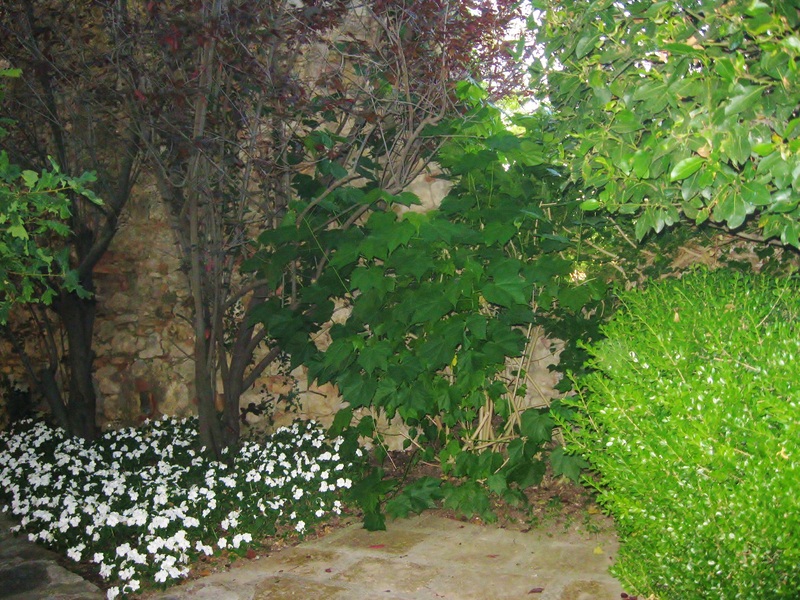 The garden featured a delightful stone well. The perfect setting for a summer dinner. Antipasto No. 1 : “Scambio di batutte”. Exchange of tartares. 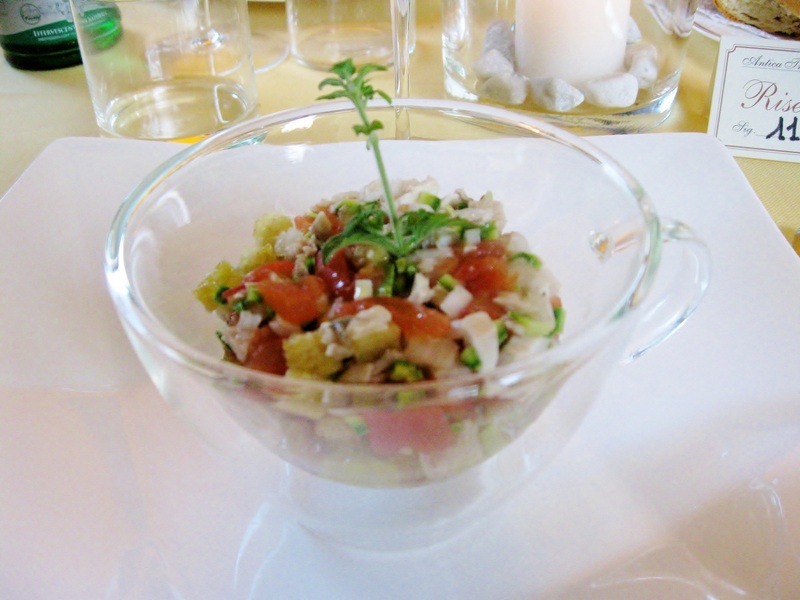 This appetizer represents the duality of Maremma: the countryside and the seaside. 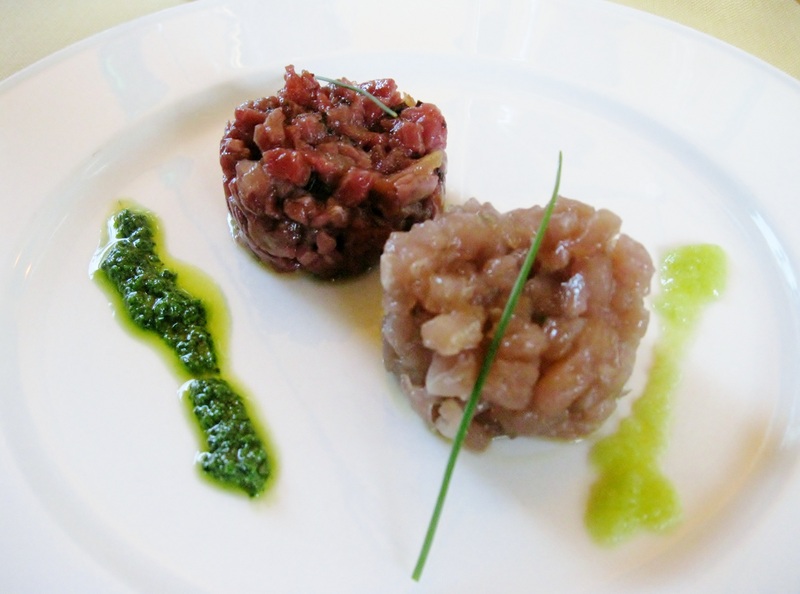 To the left: beef tartare with black olives, tomatoes and parsley pesto. To the right: Tuna tartare with cucumber sauce. Antipasto No. 2: Panzanella di Coniglio: Rabbit Panzanella. Panzanella is a rustic Tuscan summer salad made of stale Tuscan bread, fresh tomatoes, red onions, cucumbers, and basil. 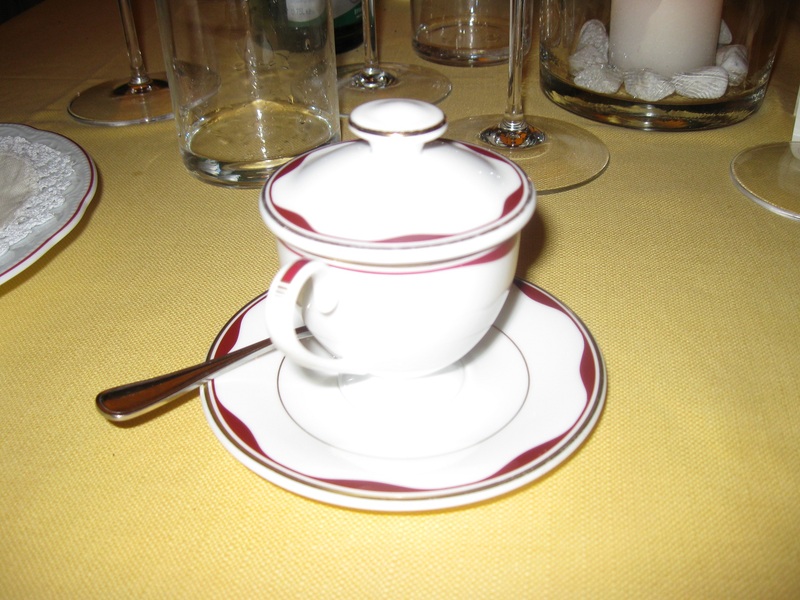 The chef’s version of Panzanella – presented in a cappuccino cup- included shredded rabbit. Primo Piatto: Pappardelle con ragù di cinghiale, olive nere e rosmarino. Pappardelle with wild boar ragout, black olives and rosemary. 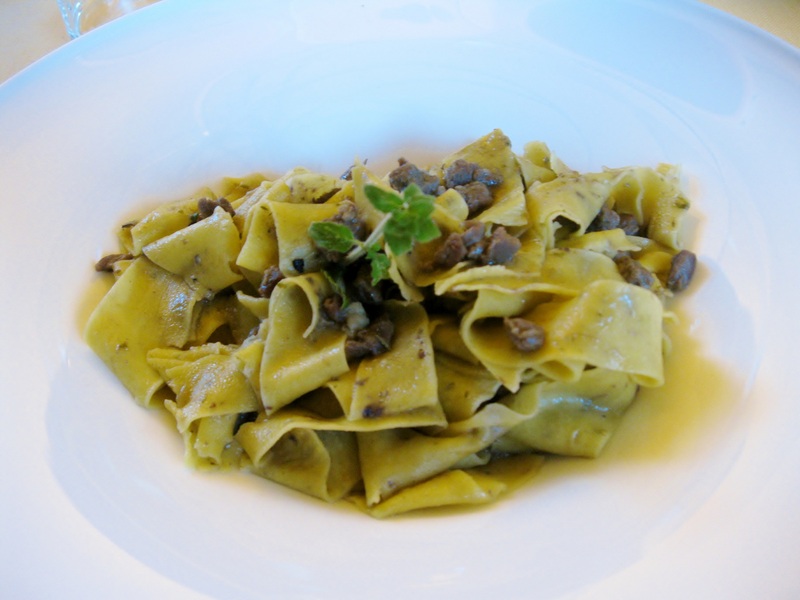 Pappardelle – a widely used pasta format in Tuscany – is a larger version of tagliatelle and it is usually associated with game sauces. Secondo Piatto: Galletto con verdure estive e salsa ai peperoni gialli piccanti. 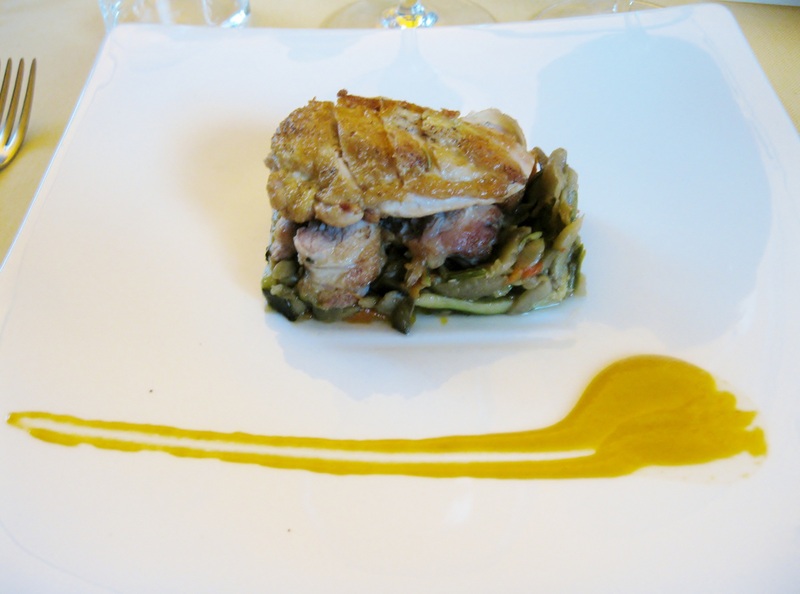 Cockerel on a bed of summer vegetables with a hot yellow pepper sauce. No room for dessert (No wonder!!) so we finished ordering espresso. Notice the cute coffee cup with the lid! Excluding wine, we paid about 35 euros per person. Se me hiso agua la boca con el parpadelle……eso me mata a mi!! Que rico se ve todo! I was getting hungry just looking at the scenery. Then I saw the food, oh my. What a beautiful place and what fitting food to enjoy there. It is, and I truly recommed visiting Maremma rather than Chianti. It is less touristic and visited mostly by locals! I don´t know this area of Italy too well – we were always in a hurry to get to the family in Calabria…but maybe one day soon. The setting, the food, all so delicious. You do go to some lovely places! Tuscany is a beautiful region but you have to know where to go, otherwise you can bump into tourist trap places!I have also been to Calabria since I have two calabrese friends and I loved it!! Beautiful seaside, great people, and an outstanding culinary tradition!!! 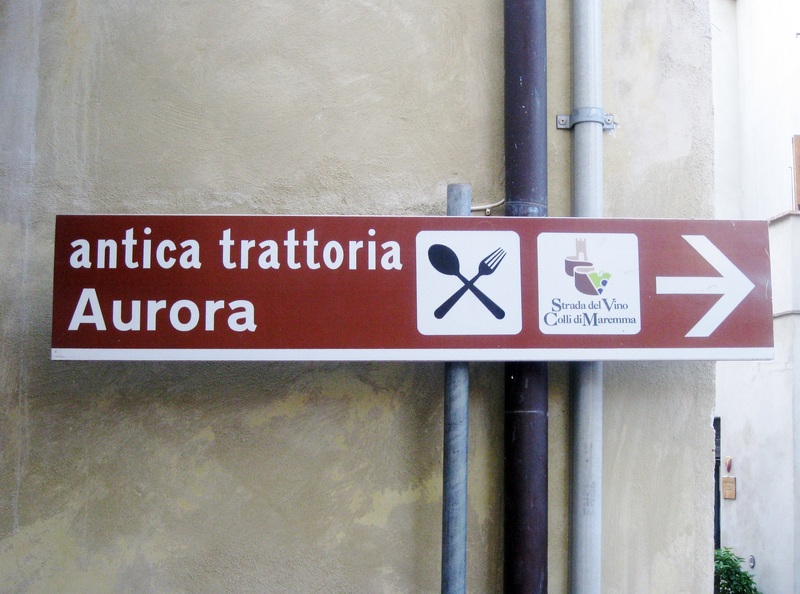 Wonderful; the Trattoria looks Enchanting. We had Papardelle like that often in Italy, and It’s perfect. I learned so much from Italy in terms of what to do with Pasta and thier sauces/ragu. The place is charming and the food is delicious! Papardelle is probably my favorite pasta format. It is perfect for hearty sauces – which are great during fall and winter!! We have not been back to Italy for too long. Our lasts trips have been to France, Germany and Austria. Your photos make me want to return soon. I have a friend who lives in Radda in Chianti that wants us to visit Tuscany again. Radda in Chianti is such a beautiful place! You should accept your friend’s invitation. 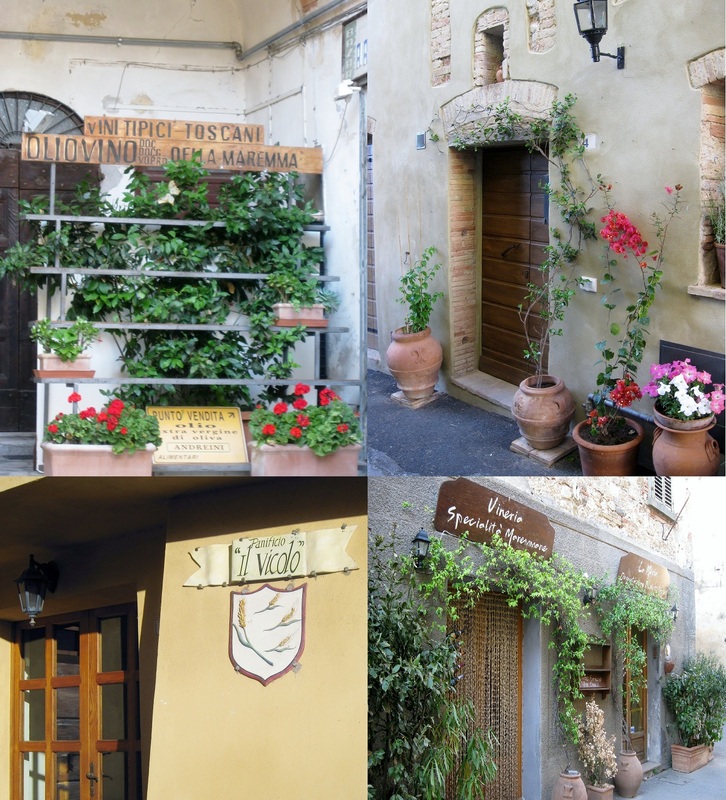 When we went there, we ate in this lovely Osteria named Le Panzanelle in Panzano, which is a fraction of Radda in Chianti.